Mt Manaslu at 8,163 m is the eighth highest mountain in the world and is also known as the spirit mountain. It is in the Gorkha district between the Annapurna mountains and the Langtang Valley. 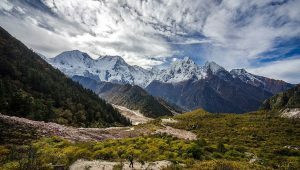 There are two ways of exploring the Manaslu region, the classic Manaslu Circuit Trek and the Manaslu Circuit Trek via Tsum Valley Trek. 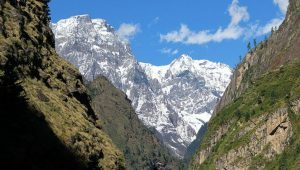 Depending on these routes, your Manaslu trek cost depends on how you want to trek, when you want to trek, and the number of days you want to spend on the trail. Our 16 days Manaslu Circuit trek costs USD 1175 per person. While if you want to add Tsum Valley to your Manaslu trek then the cost will be USD 1580 per person. 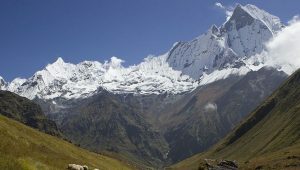 You will need a total of 3 permits for Manaslu Circuit trek. 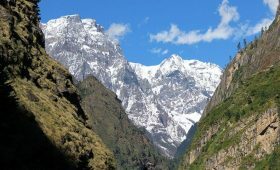 And if you are doing the trek via Tsum Valley, an additional Tsum Valley permit is also required. You need a Restricted Area Permit for trekking in the Manaslu region, because of the easy access of Nepal-China border from here. The cost of the permit varies depending on the month you are trekking. USD 70 per person for the first week and USD 10 a day thereafter. The permit costs are slightly cheaper in these months as compared to the peak season. The costs are USD 50 per person for the first week and USD 7 per person for a day thereafter. 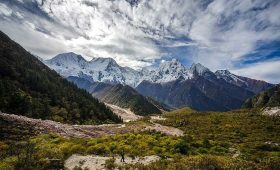 If you are trekking Manaslu Circuit via Tsum Valley, you will need to get an additional Tsum Valley Permit. The costs are USD 25 per person for the first 8 days. The costs are USD 35 per person for the first 8 days. 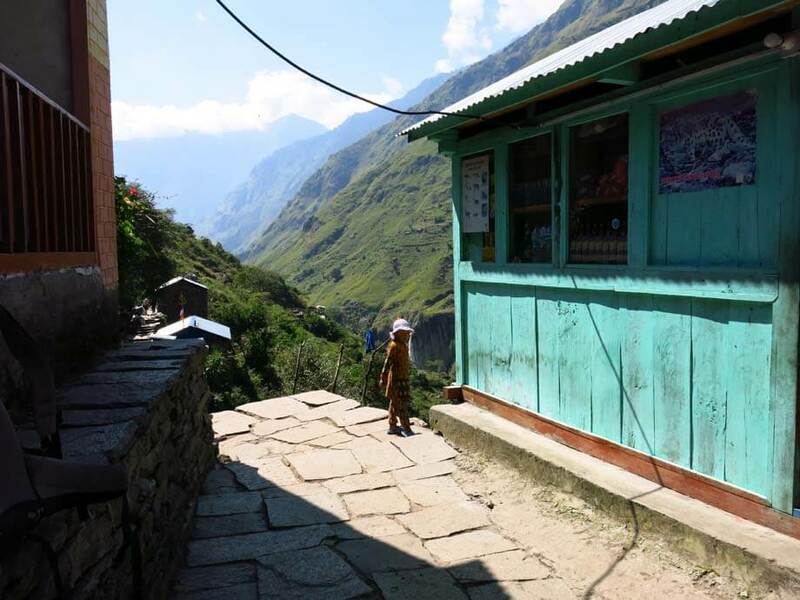 The starting point of the Manaslu Circuit Trek is the village Soti Khola. You’ll get various options of vehicles to get here. 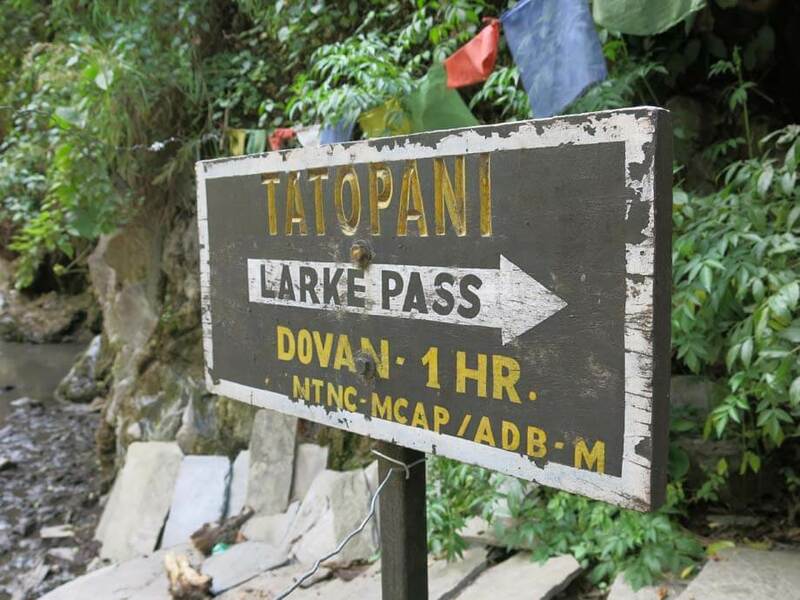 Similarly, the ending point of the trek is Dharapani and you will find various options of vehicles to get to your desired place from here. Since there is no direct public transport from Kathmandu to Soti Khola, you have no choice but to transit in Arughat and change vehicles. The cost of the local bus ride from Kathmandu to Soti Khola for a person is around USD 10- USD 15. An easier and more comfortable way of traveling to Soti Khola is by Private Jeeps. If you are traveling by a tourist jeep with the green plate, you will not even have to transit in Arughat and take the jeep straight to Soti Khola. But, if you are traveling by a normal Private Jeep with red plate, you will have to transit in Arughat and get into a locally owned private jeeps. Private jeeps are on the costlier side and will charge you USD 200 – USD 250. But, it can fit in 7 people and once you divide the cost, it is not very expensive. There are no direct buses or jeep to Kathmandu from Dharapani, so you will have to transit at Beshi Sahar and get into a different vehicle. There are also no local buses available between Dharapani to Beshi Sahar, so the only way to travel is by the local jeeps. It takes approximately 5 hours to get to Beshi Sahar. The vehicles leave every hour. The local jeeps charge you around USD 20 -USD 25 per person. You can also travel to Beshi Sahar by a private jeep for a cost of USD 200- USD 250. From Beshi Sahar, you can take a local jeep to Kathmandu for USD 10 – USD 15 per person. And the local buses will cost you around USD 7. A useful rule of thumb while trekking is that, as the elevation increases so do the price of food and drinks. This is only because the trekking region is a remote area. To add in, the facilities of transportation is quite compromising. All the goods reach there via porters or mules. The menu choices are also very limited and costly in comparison to Kathmandu. The most popular dish is the local cuisine Dal Bhat which is a meal consisting of steamed rice, vegetable curry and a bowl of lentil soup. This is a very healthy, fulfilling meal and the best part is that it is an all you can eat meal, which is perfect for trekkers. You will be paying roughly USD 5 per meal which means USD 15-20 a day. As for drinks, a bottle of water may cost around USD 1-4, whereas a cup of coffee and tea may cost you anything between USD 2-4. One good thing about accommodation in the tea houses is that it is usually pretty cheap costing you about USD 6- USD 9 per night. The rooms are very basic with a twin bed and a table and a cupboard. The bathrooms are usually a shared bathroom outside and there are no facilities like heaters or television available. 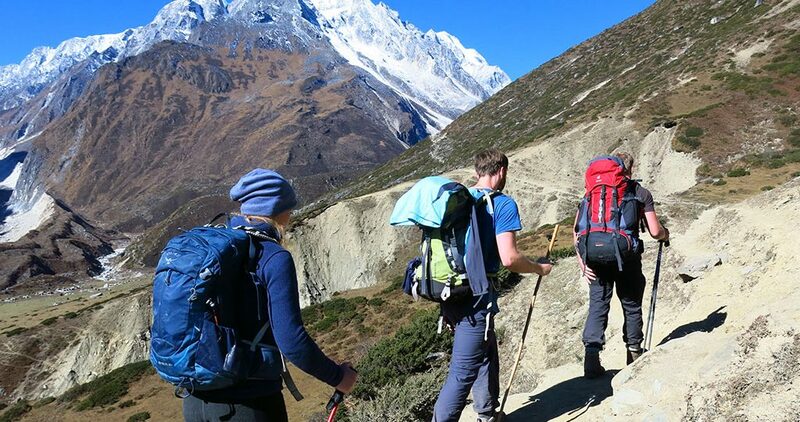 Unlike other trekking regions, you cannot trek in the Manaslu region without a licensed guide. This is a rule by the government of Nepal to ensure the safety of the trekkers. On average the cost for a guide is USD 35 per day which includes the food, accommodation, and insurance of the guide. On the other hand, hiring a porter while trekking in the Manaslu Region is entirely up to you. If you think you are physically capable of carrying your load on the trail you can do so. But, we advise you to hire a porter so that you can enjoy your trek without physically draining yourself. The cost of the porter for a day is around USD $20 -USD 25. It includes the cost of the porter’s food, accommodation, and insurance. Charging your electronic gadgets such as a camera, mobile phone etc may cost you a few dollars. Rooms in the tea houses generally do not have a plug point and you will have to charge your electronic items in the common area or the kitchen. The tea houses will charge you about USD 3-5 for an hour of charging. Hot showers are a luxury treat in the Himalayas. But you may not find them in the tea houses in the trekking route. Few teahouses may provide you with hot water buckets if you want to take a hot bath. The tea houses may charge you around 0.5 – 1 US dollar for a bucket of hot water. To show your companions of the trek your gratitude, you can give your porters and guide some tips after the trek is over. This is not mandatory. So, there is no fixed tipping charge. You can give as much as you like. Buy everything you need while in Kathmandu since the prices of the exact same thing will double as you reach the higher elevations. Bring your own water bottle to fill in water from the streams and water taps which you can purify using water purification tablets. Try eating Dal-Bhat while on the trail since it is cheap and also very healthy and it is an all you can eat meal. It is not possible to take a bath every day while trekking so it is a good idea to bring along some wet wipes to wipe your body with. Bring along a solar battery charger or a portable power bank and extra batteries for your camera. Travel using local transportation, it might be a little difficult but it is an experience of a lifetime. You will get a glimpse of the local way of lives of the middle-class people of Nepal. 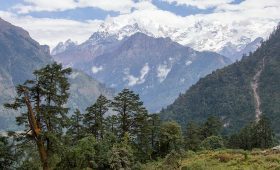 The Manaslu Circuit Trek is for adventurers and nature lovers looking for untouched and raw beauty of mother nature. 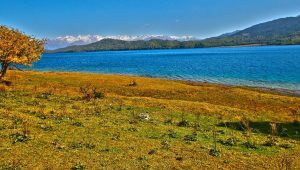 With prior planning and budgeting, this trek will be one of the best treks. So, do not miss the opportunity and plan your next trek to the Manaslu Region. Depending on your trekking plans and itineraries, the Manaslu Circuit trek cost varies. Ti know more on this trek or any other treks in the Manaslu region, contact us.